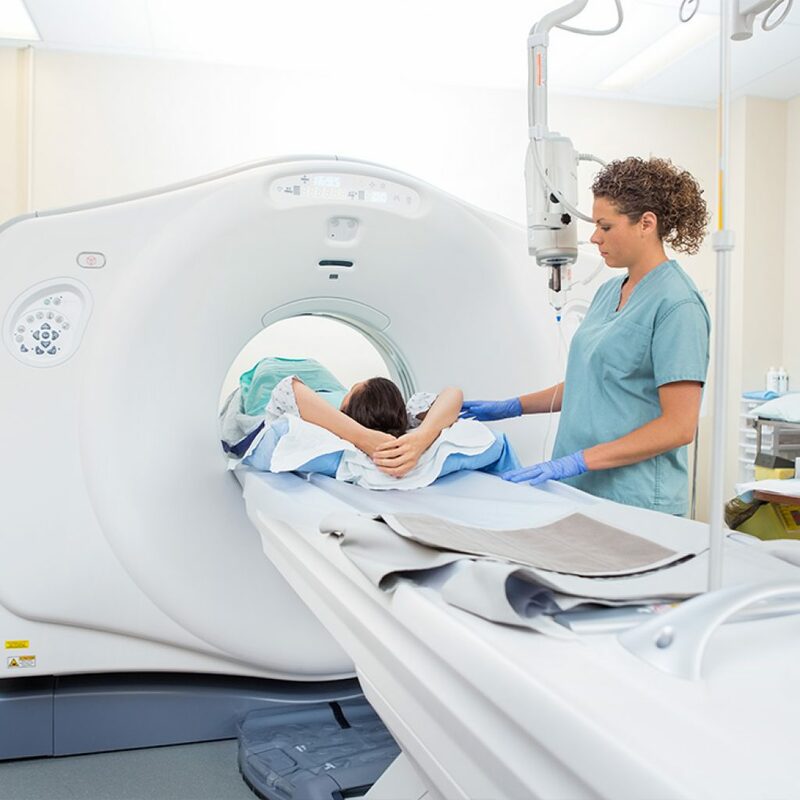 Nuclear medicine involves using radioactive materials (or tracers) to diagnose and treat a wide variety of disorders. It differs from X-ray, ultrasound and any other diagnostic test because it looks at the function of the organ, tissue or bone and determines the presence of disease based on structural appearance. Neuroendocrine tumours often absorb a substance called octreotide. This process is taken advantage of in an octerotide (or octreo) scan which you may have to help determine the presence of disease. A small amount of octreotide is ‘labelled’ with a mildly radioactive tracer to make it show up on scan pictures. The octreotide is then injected into the bloodstream and taken up by NETs, wherever they are. Neuroendocrine tumour cells often have protein molecules on their surface or cell membrane which act as receptors for specific hormones. Hormones are chemical messengers that the body produces that are released into the blood stream from one organ and then travel in the blood stream to another organ to pass the message on. A receptor acts to give the inside of the cell the message in response to the hormone on the outside; in NETs this message is often the trigger to release other hormones such as Serotonin (5-HT), Gastrin, VIP, Insulin or Glucagon. Most neuroendocrine tumours have 5 highly specialized receptors that bind to the naturally occurring hormone somatostatin. Octreotide is able to attach to two of these five somatostatin receptors. Peptide receptor radionuclide therapy (PRRT) combinesoctreotide with a radionuclide (a radioactive substance) to form highly specialized molecules called radiolabelled somatostatinanalogues or radiopeptides. These radiopeptides can be injected in the bloodstream and go directly to the tumour cells that havereceptors for them. Once bound, these radiopeptides emit radiation and kill the tumour cells they are bound to. So, almost all of theradiation is absorbed by the tumour and very little goes to normal healthy tissues. That is why it is called ‘targeted therapy’. These radiopeptides differ in the type of radiation they emit, as well as the depth of tissue into which they penetrate. Tissue penetration is an important factor since a certain range of radiation is necessary to kill tumour cells but not damage surrounding, healthy tissues. In radionuclide therapy the dose of radiation that is being used is higher than the one needed for imaging purposes.Individuals whose tumours can be visualized by somatostatin receptor scintigraphy (SRS) and have inoperable NETs that are growing, or individuals whose symptoms are not well managed by somatostatin analogues, may be candidates for PRRT. However, the extent of tumour growth, kidney function, liver function, prior treatments, and many other factors must also be considered. All side effects associated with radionuclide therapy are mild and transient. They comprise nausea, vomiting, abdominal pain, hypotension, fatigue, leucopenia, and thrombocytopenia. Other less-common side effects are bone, liver, and kidney toxicity, and mild hair loss. This consists of the radioactive material Yttrium (Y-90), which is added to a carrier (a peptide protein fragment) called DOTATATE. DOTATATE binds to the NET cells and Y-90 emits radiation which destroys these cells. How is Y-90 DOTATATE given? It is given as a drip into a vein in your arm over one hour. You will be given amino acids (protein fragment) through another drip before, during and after treatment to help protect your kidneys from the radiation. We will also give you medication to prevent nausea during and after treatment. Is there any preparation before the treatment? No special precautions are necessary. However, if you feel unwell before the treatment, please contact us on the number over the page. If you are being treated with any long acting somatostatin analouge injections, e.g., lanreotide autogel or sandostatin LAR, these must be stopped for approximately four weeks prior to treatment. This is because this medication may block the receptors that the therapy is designed to target and therefore potentially reduce the efficacy of the treatment. Usually three to four treatments, ten to twelve weeks apart. Unlike chemotherapy, the side effects are usually mild and transient and may last up to a few days. You may experience pain, nausea and tiredness. It can also lower your blood count and kidney function. Can I have treatment if I am pregnant or breast-feeding? It is important to let us know about this. If you are pregnant or breast-feeding, treatment cannot be given. These precautions are to protect your baby. You are advised not to become pregnant until at least six months following treatment. Men are advised not to father a child for the same period. If you are sexually active, adequate contraceptive care is needed. The treatment should not affect your fertility. Will I have any investigations or scans before treatment? Before we can decide if treatment is possible, we will do blood tests to make sure that your kidney function and blood count are normal. You would have had a nuclear medicine octreotide scan (done over two days). Will I stay in hospital? You will usually stay for one to two nights in your own room which has a bathroom. This room has been specially designed and built to cater for patients undergoing radioactive treatment. To ensure that you are cared for safely, you will be asked to remain in your room until you are advised that you can go home. This type of treatment delivers its radiation within your body and only very small amounts exit your body. No one should visit you on the day of treatment. After this, visitors who are over 18 and not pregnant may visit for up to 30 minutes a day. Visitors should speak to the ward staff before entering the room as they will need to observe the relevant radiation protection measures. 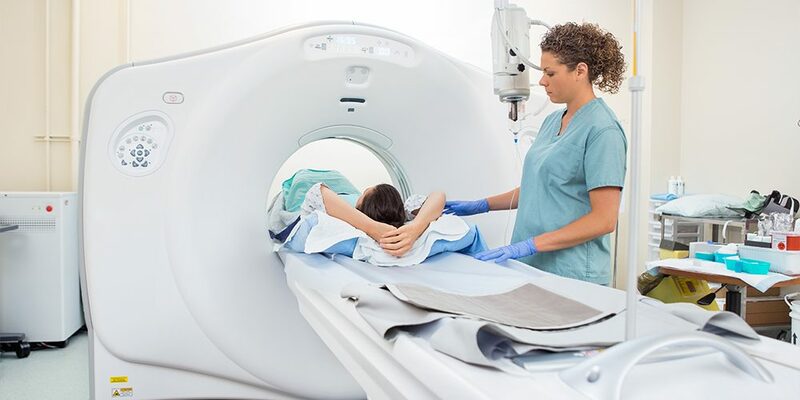 A nuclear medicine scan to assess the distribution of radioactive treatment is done the day after treatment, you will then be discharged home. Once home, we suggest some sensible precautions. For example, double flush the toilet for seven days, restrict close contact (less than one metre) with children/pregnant women for seven days, do not return to work for seven days, restrict close contact with adults and avoid sharing a bed for five days. Further CT and octreotide scans as well as blood tests will be done as part of the follow-up to assess your response to the treatment. Blood tests will be done every two weeks for eight weeks, to monitor your blood count and kidney function. Your main follow-up will continue to be under the care of the NET clinic at Southampton. You will be seen in clinic after each treatment to reassess your health and response to therapy.